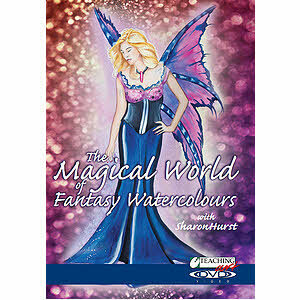 Sharon Hurst is a popular professional Artist and tutor who is renowned for her watercolour animal, fantasy, figure, landscape and portrait paintings. She holds regular classes, courses, workshops, demonstrations and painting holidays. Sharon's work is regularly exhibited around the world. Her enthusiastic and engaging style puts fun and excitement into painting and her refreshing approach has helped many aspiring artists to try their hand at something new.